Motor vehicles emit large quantities of carbon monoxide, hydrocarbons, nitrogen oxides, particulate matter, and such toxic substances as benzene, formaldehyde, acetylaldehyde, 1,3,butadiene, and lead. Each of these, along with secondary by-products such as ozone, can cause serious adverse effects on health and the environment. Because of the growing vehicle population and the high emission rates from many of these vehicles, serious air pollution and health effect problems have been increasingly common phenomena in modern life. 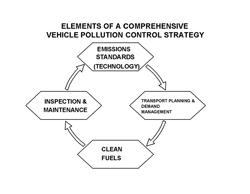 In developing strategies to clean up vehicles, it is necessary to start from a clear understanding of the emissions reductions from vehicles and other sources that will be necessary to achieve healthy air quality. 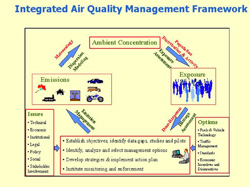 Depending upon the air quality problem and the contribution from vehicles, the degree of control required will differ from location to location. 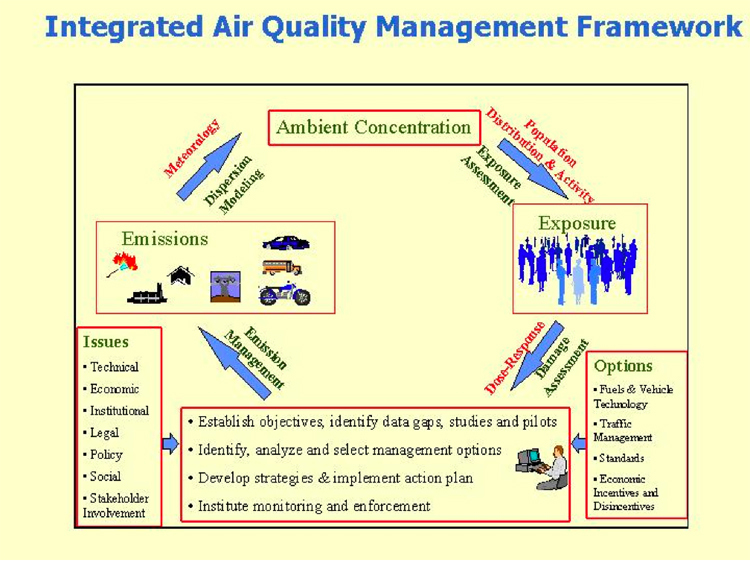 As illustrated in the Figure regarding Integrated Air Quality Management Framework, one should start with a careful assessment of air quality and the sources that are contributing the most to the problem or problems. Where vehicles are the major culprits, a broad based approach to the formulation and implementation of policies and actions aimed at reducing their pollution will be needed. 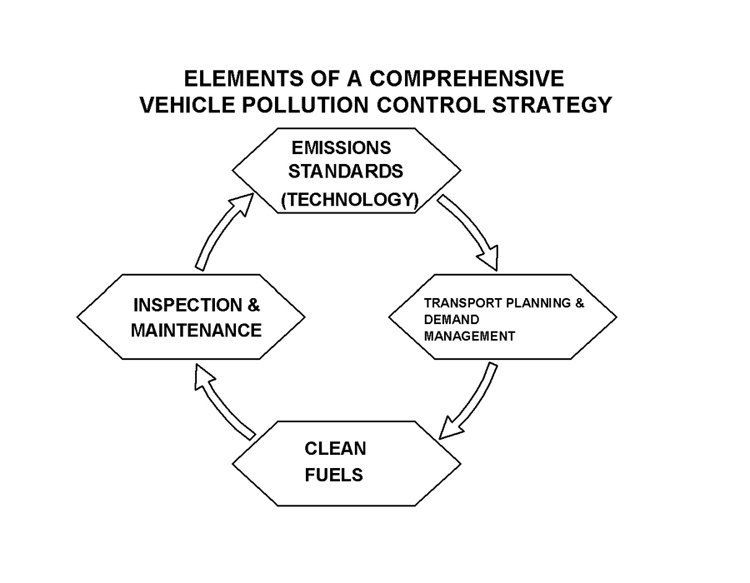 Reducing the pollution that comes from vehicles will usually require a comprehensive strategy that includes four key components: emissions standards for new vehicles, specifications for clean fuels, programs to assure proper maintenance of in-use vehicles, and transportation planning and demand management. One important lesson that has been learned is that vehicles and fuels should be treated as a system. These emission reduction goals should be achieved in the most cost effective manner available.